AUSTRALIA’s horse, the extraordinary Winx, should be within touching distance of becoming the highest-earning galloper in global history if she completes another unbeaten campaign next autumn. As the dust settled from the mare’s unprecedented fourth Cox Plate victory, her 29th-straight win and her 22nd Group 1 success, the chances of the seven-year-old continuing to race next year appeared very strong. And if she does, following the familiar four-race plan trainer Chris Waller has set her in the past two autumns, the No.1-ranked horse on the planet is likely to climb tantalisingly close to also being its No.1 earner of all time. 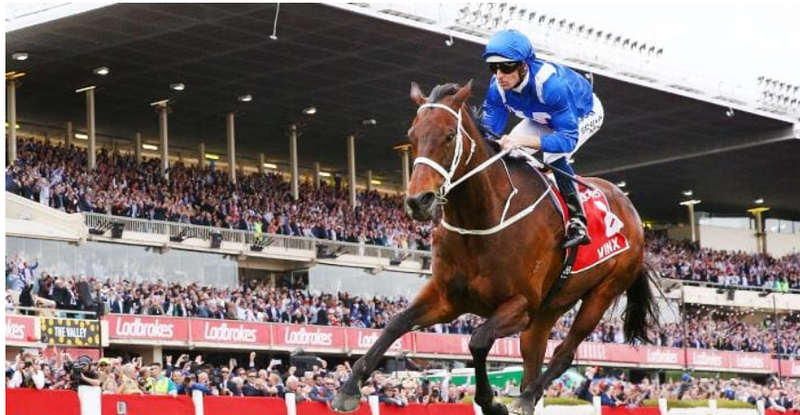 After claiming a further $3 million on Saturday, Winx jumped from 10th to sixth on the global all-time money list, with earnings of $22,934,925, or $US16,267,742. With the leaderboard immediately above her very congested – there’s less than $US2 million separating the next four horses – by next April Winx could be positioned just behind the table-topping Japanese champion Orfevre. 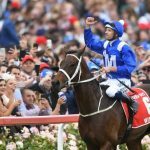 If Waller repeats his plans of the past two seasons, Winx would likely contest four races next autumn – the 1400-metre Apollo Stakes and 1600-metre Chipping Norton Stakes at Randwick, the Ryder Stakes over 1500m at Rosehill, and the $4 million Queen Elizabeth Stakes, over 2000m, back at Randwick. 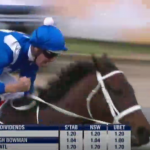 (Winx only contested the latter three last year, but plans changed when jockey Hugh Bowman could not make the Apollo Stakes due to suspension). 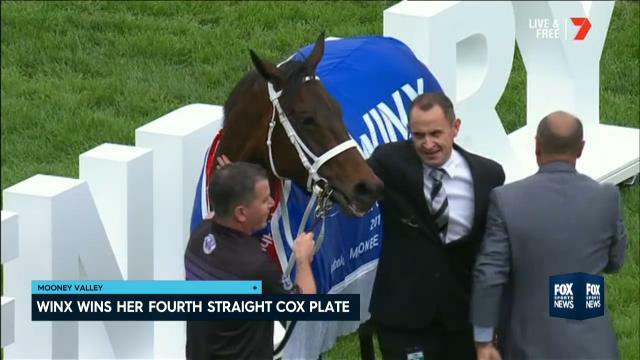 Success in all four next year would bring Winx another $3,514,500, taking her to a phenomenal total of $26,449,425. On current exchange rates that would put her on $US18,760,577 – just $US245,000 behind Orfevre, who won $US19,005,276 before retiring in 2013. Winx could realistically jump to No.1 with just one more middle-ranking Group 1. A race worth $600,000 Australian dollars offers the equivalent of $US245,000 for first place. However, as enticing as that may seem, pushing on beyond next autumn might be considered by the champion’s connections to be asking too much, with retirement to the breeding barn beckoning for the mare, who’ll turn eight next autumn. With her two-length victory over Benbatl on Saturday, Winx moved up to just behind Kitasan Black. She passed two now-retired American horses who had been at or near the No.1 world ranking at the same time as she has — California Chrome and Gun Runner – while also leapfrogging Gold Ship, the mercurial Japanese star who raced earlier this decade, and T M Opera O, another Japanese great who retired in 2001. The only other galloper in the top 20 who’s still racing is in fact her fellow Australian Redzel, in 17th place with $US10.9 million thanks to his two Everest wins. Waller reiterated on Saturday there has been no talk of retirement. 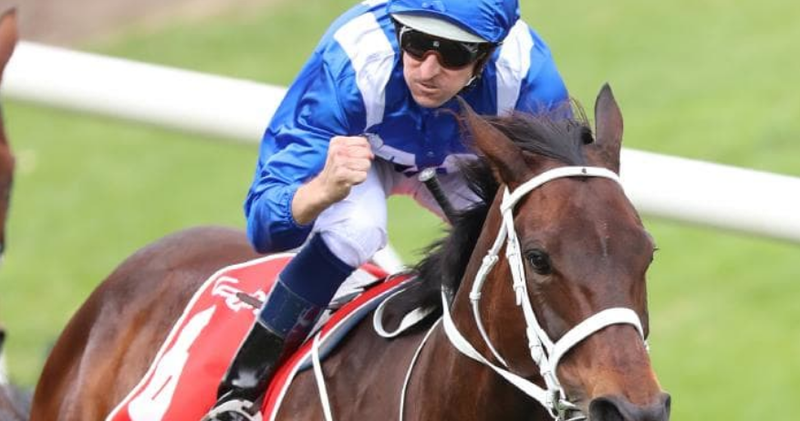 He confirmed Winx would go for a spell before discussions with her connections on whether to aim for a Sydney autumn campaign. He has also said he would like to announce Winx’s final race before it happens, so she can have a fitting farewell, rather than having a decision made while she is spelling. With the mare still in the form of her life, and with her body standing up to its workload with few or no obvious problems, the chance of an autumn campaign appears strong. “We will all sit down and talk about her future in a few weeks,’’ Waller said. “First and foremost, we will assess Winx. We will talk to our vets and go over her meticulously. “We will check her tendons, her joints, bones, bone density, you name it.